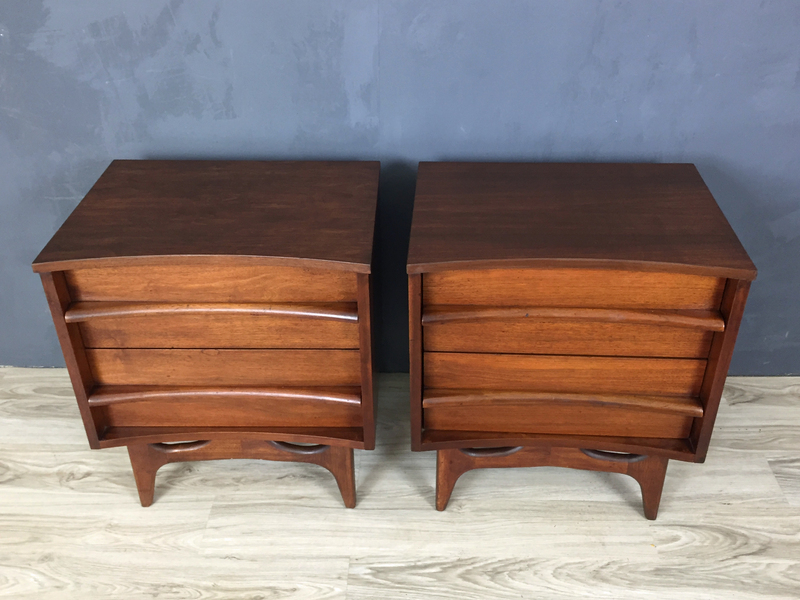 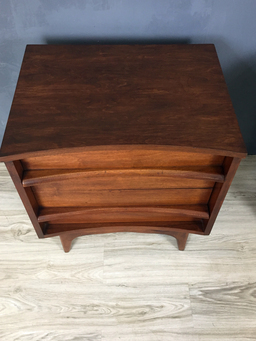 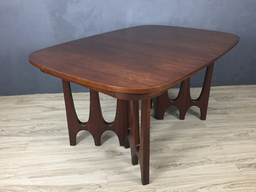 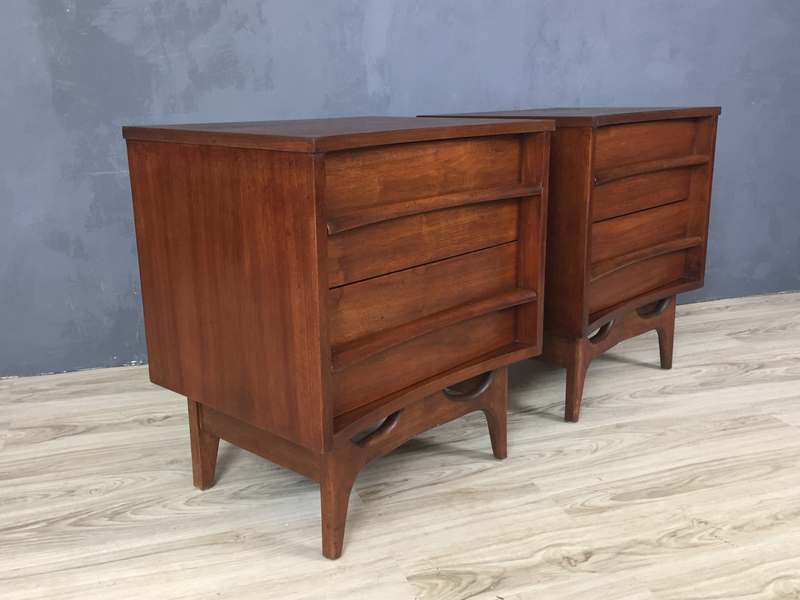 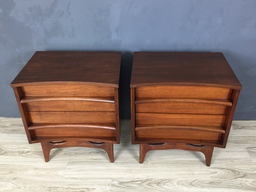 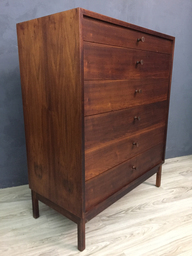 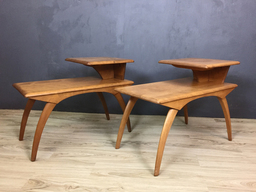 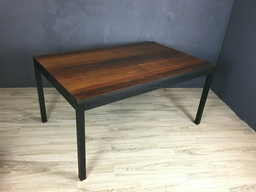 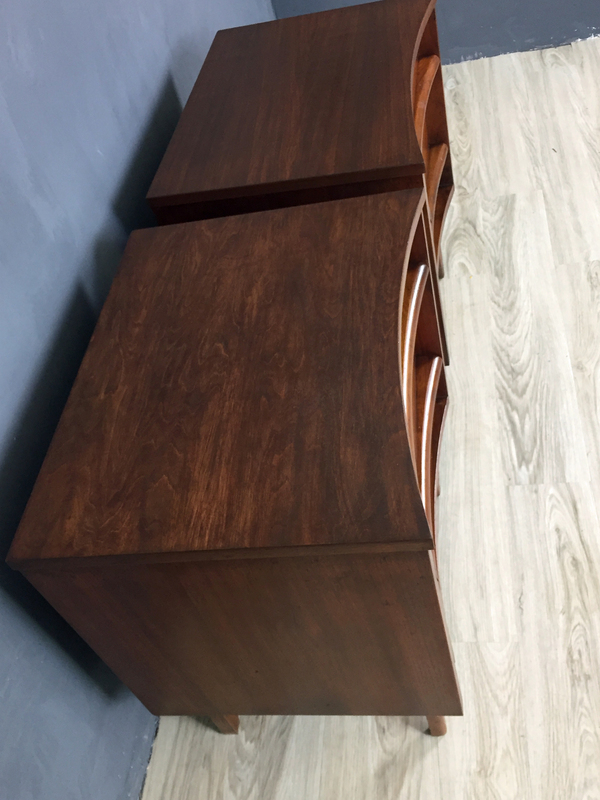 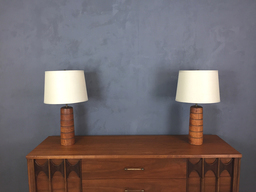 Produced by Young Manufacturing in 1968, these elegant walnut bedside tables feature two roomy drawers, sculptural drawer pulls and legs, and a gently concave bow to the fronts. 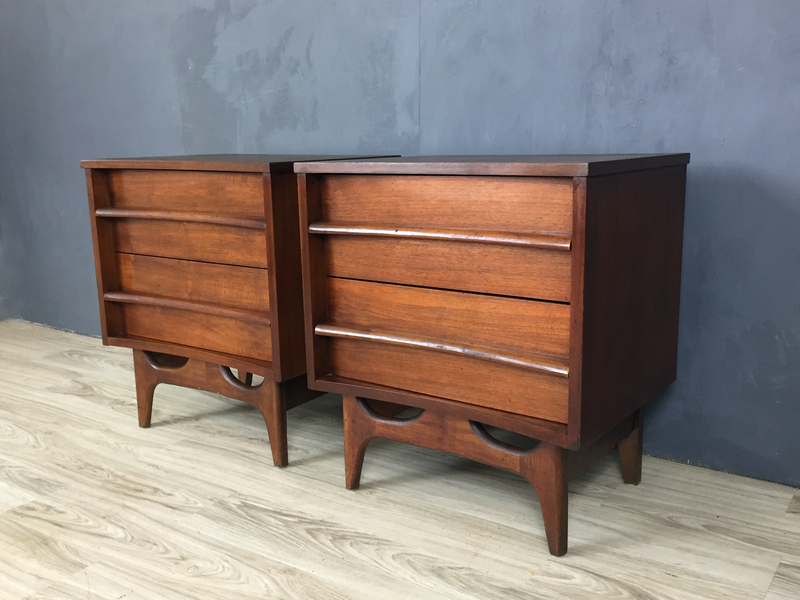 These pieces have been restored and are in excellent conditon. 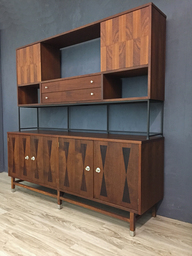 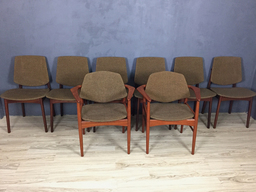 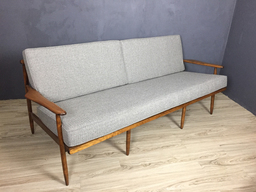 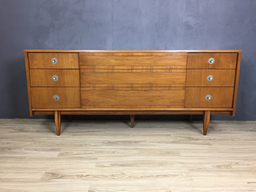 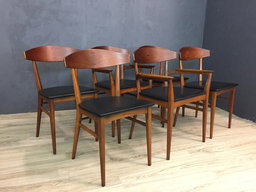 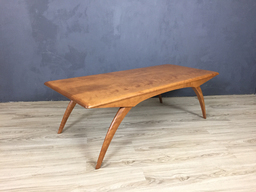 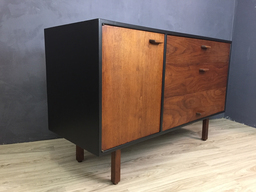 Classic mid century!